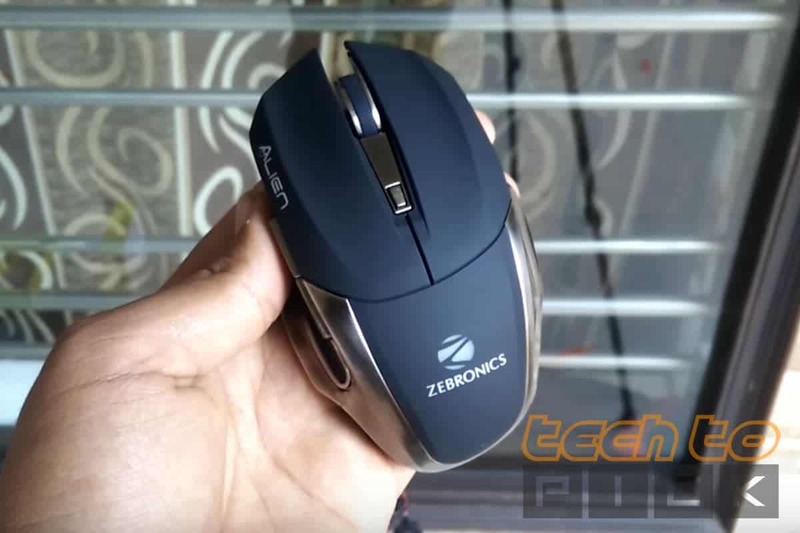 So If you are searching for budget gaming mouse out there which can give you all the features and maximum Performance then take a look at Zebronics Alien Gaming Mouse which is Priced at Rs.825 but you can easily get it under Rs.600 in Online Shopping Sites like Amazon and Flipkart. It has High Flow design for Right-hand Side user’s that mouse reminds me the design of an Expensive mouse which is MX Master but doesn’t ever think to compare these. It has really Nice Build Quality it has a metal looking frame around this Mouse which assures durability. And it adapts your hand very nicely and the grip is also very Nice. But the side buttons and DPI Button are made of like cheap plastic. But Clicking Sound feels Promising and buttons are Durable last long for the time being. 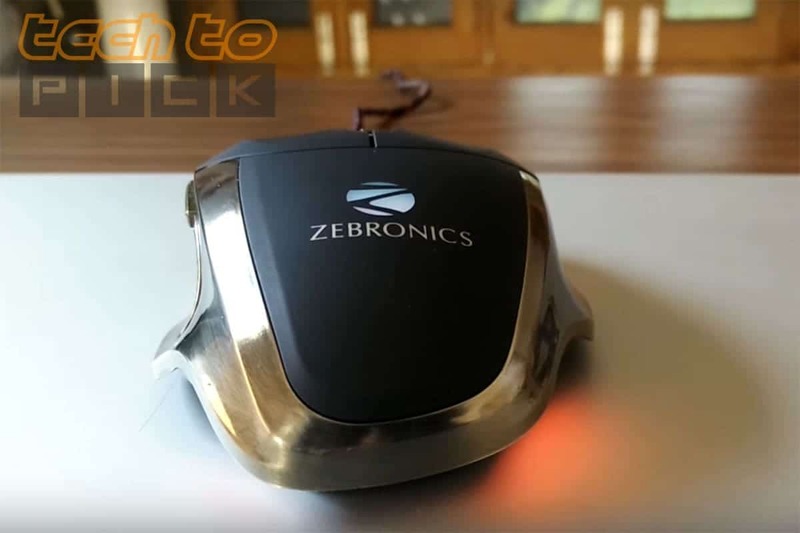 So as per the Looks and Design, I Give 9 out of 10 to this Zebronics Alien Gaming Mouse i just Love the Design. But RGB Lighting is Uncontrollable with any application Zebronics try to give this mouse an alien spaceship design lighting which is on all the four corners of this mouse in Red Colour. Only the Zebronics Logo changes the Colours. The Wire is also very nice braided wire which means not easily breakable and Zebronics also put a Zip on the Wire So you can easily fold the wire and zip tight them to carry with you anywhere + point Zebronics for this and USB Plug is Gold plates but there is no branding on it. And Now Come to the main Performance it Optical tracking sensor and a DPI from 800 to 2400 which is great in this price range. I really like the Optics used by zebronics in this alien mouse tracking is fast and responsive. And the lift off distance is surprisingly good much better as Compare to another expensive one. Performance is fairly nice tracking is fast fully satisfied with 2400 DPI as in budget section. Not having any lagging issue in games and responsiveness is really satisfactory. So I will recommend this mouse to anyone if you have a really tight budget and want great performance. 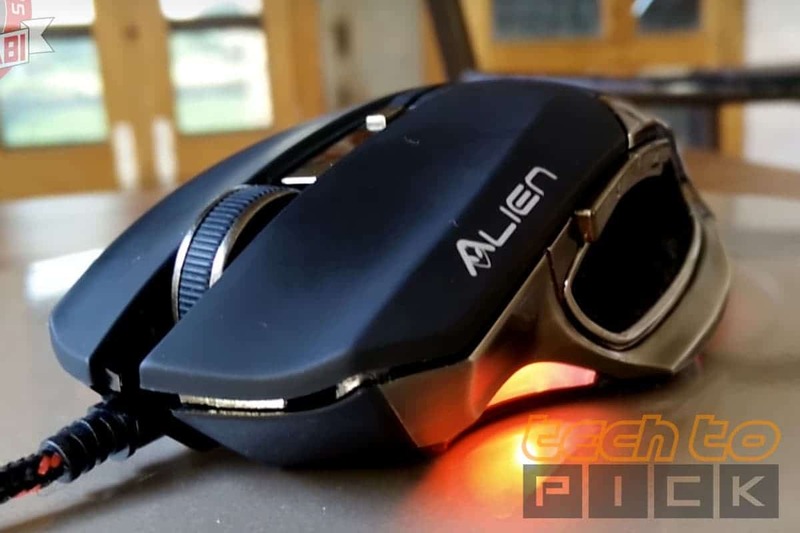 Overall I give 8.5 Out of 10 to this Zebronics Alien Gaming Mouse.